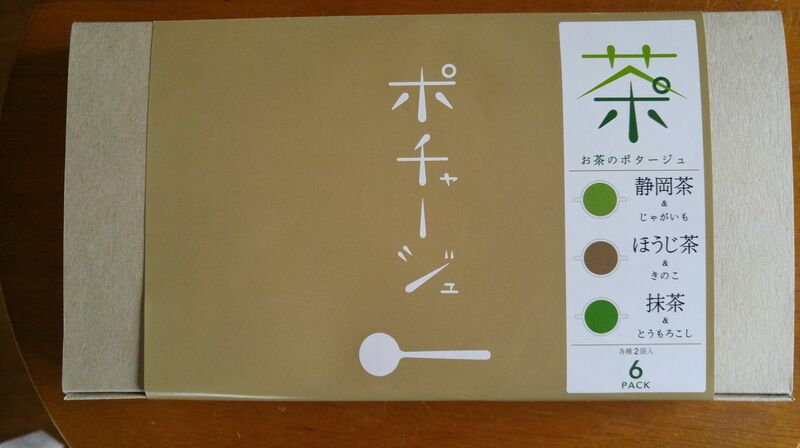 Japanese Tea X Potage=”Pochage” by Marufuku Seicha in Shizuoka City! Marufuku Seicha Co. and her young President, Ms. Asami Ito, have always been endeavoring to create new products from Shizuooka tea to explore new expansion avenues. Their latest venture is a happy marriage between Japanese and French gastronomies: “Pochage”! 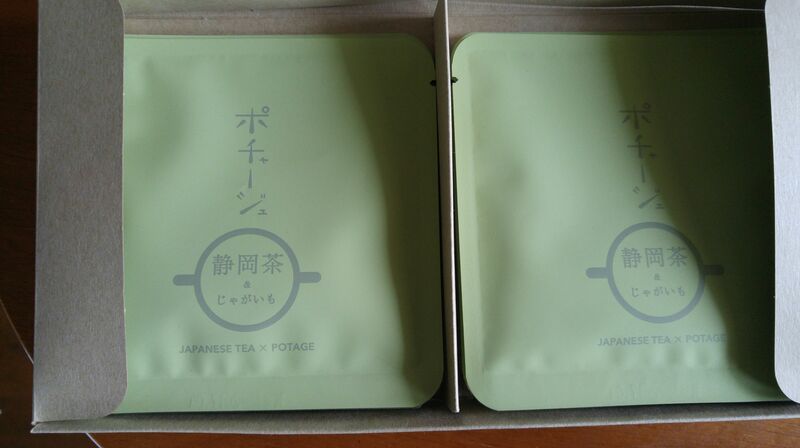 “Pochage” stands for Potage and Tea, the latter being pronounced “cha” in Japanese! I was given the opportunity to taste it/them and here are my findings! The packaging follows the strict norms of Japanese food regulations with all the data on ingredients, processing and consumption dates, which are aso repeated on each potage pouch! You can buy each pouch individually or in packs of 6, 3 of each variety as above. The packaging design makes for a great souvenir/present! 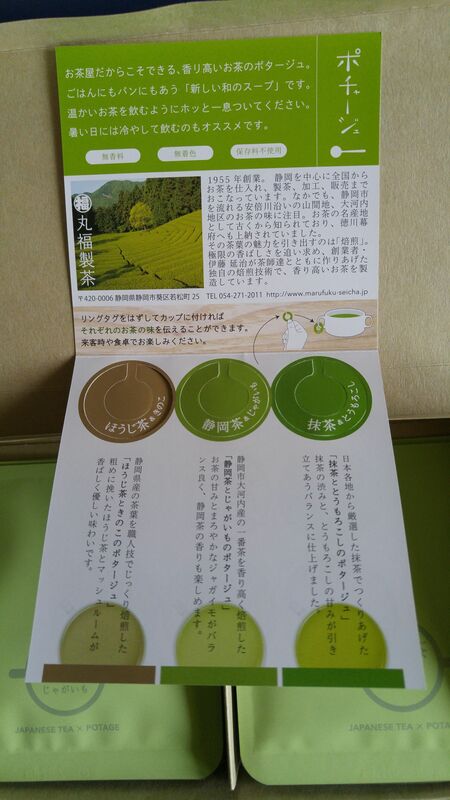 Inside this particular package you will find one more leaflet bearing all information on the tea company, its fields, and even 3 “rings” to attach to your soup cup to know exactly what is inside! 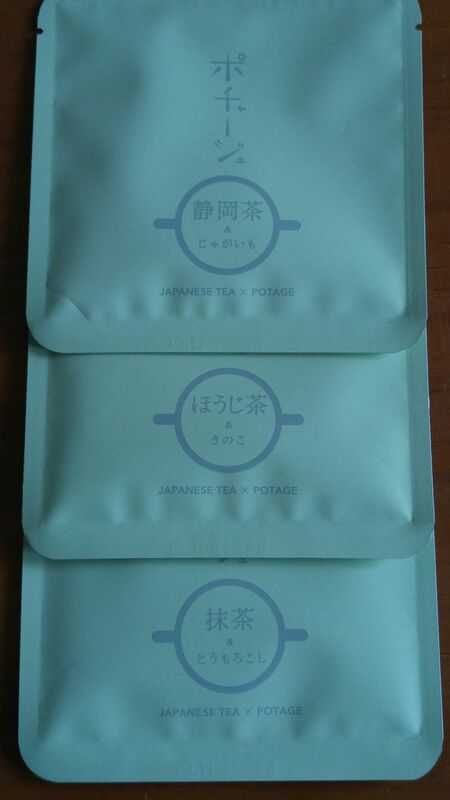 Three different pouches, extremely resistant but easy to open! Now let me turn to each content and the actual tasting! Shizuoka Tea and potato potage! 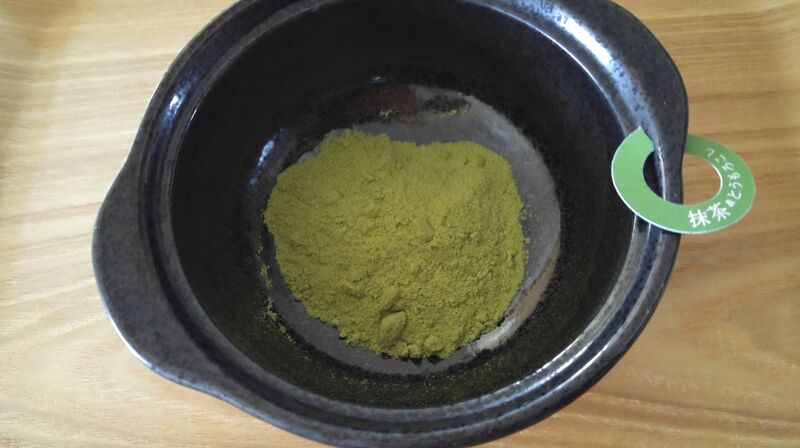 The powder has a nice color to it and its flavor, even when dry, is of strong green tea. Each pouch content contains enough powder to which 150ml of hot water can be added. Note: pour in the water half at a time and mix well for perfect solving before tasting it. 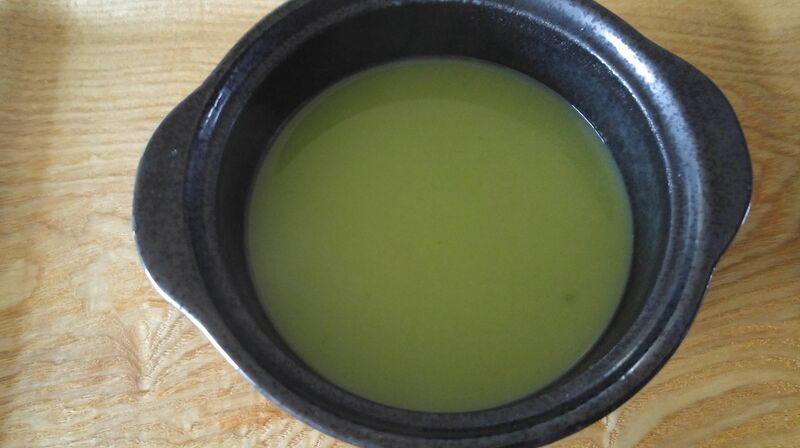 The soup is of a rich, slightly dark, green typical of green tea leaves. The taste although markedly of tea is not as pronounced as its flavor and the potatoes blend perfectly with the bitterness of the tea. It does not need any extra seasoning, although I would recommend serving it topped with some crumbled dry potato chips! Great in the morning with breakfast! 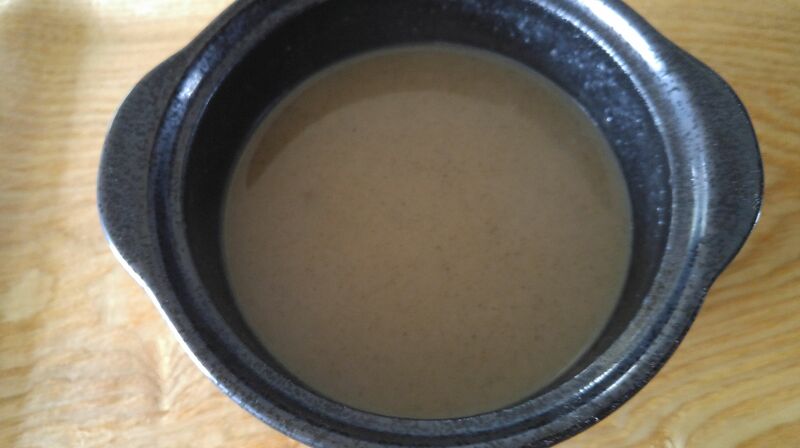 The second one is Hojicha and mushrooms potage! Hojicha is dry grilled green tea, whose color will change to a nice yellow-brown. 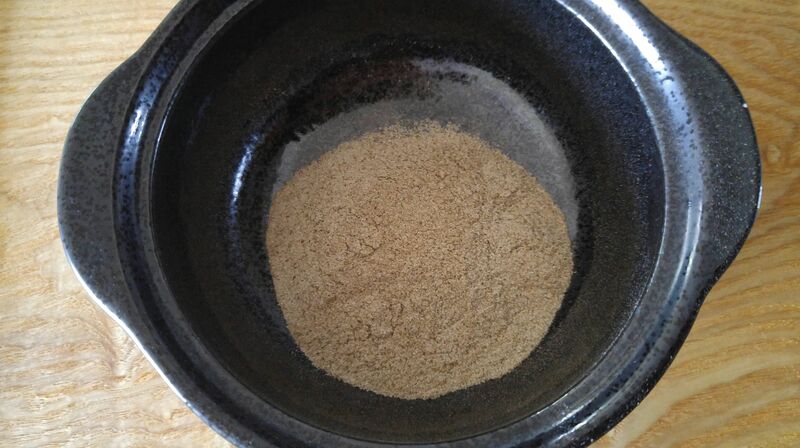 The addition of mushroom powder will result into a rich brown color. 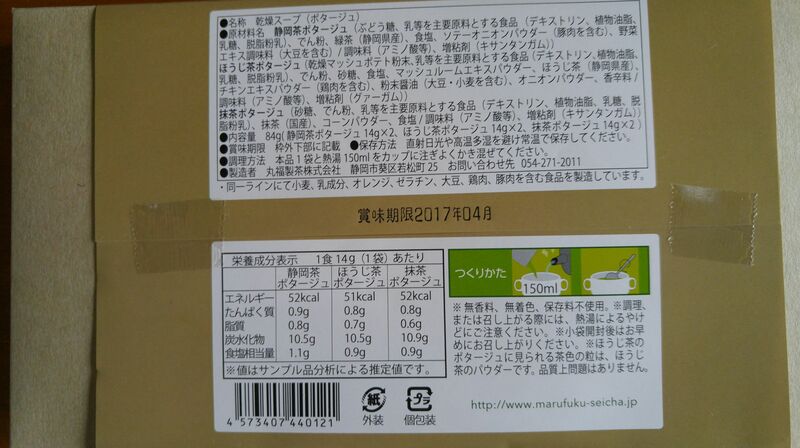 The aroma is more discreet that the Shizuoka Tea and potato, but still rich enough. The taste is smooth and definitely dominated by mushrooms, but in a very balanced manner. Again there is no need for extra seasoning, but I would serve it topped with a few fried pieces of mushroom. Will warm you up in winter! The third one is matcha tea and corn! 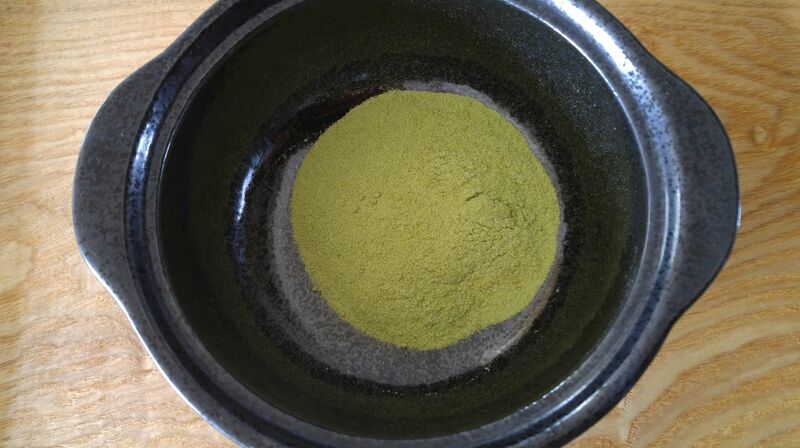 The matcha aroma dominates the powder with its distinctive characters. 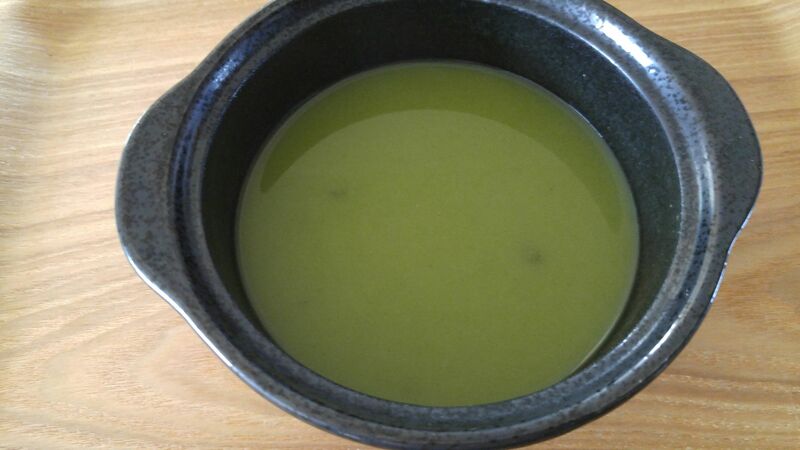 The corn perfectly balances the bitterness of the matcha into a very elegant and rich potage. It definitely could be served chilled into a refined vychissoise. Serve it topped with a few grains of boiled corn and tiny green sprouts! All in all, a discovery! The concept is somewhat feminine but gentlemen will surely appreciate the balance between green tea and other ingredients.